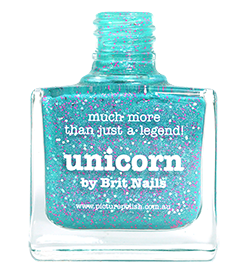 Has anybody noticed that lately Primark is big into nail art and nail polish? I know they've had the Angelica range for a while, but on my last visit I noticed a a lot of new things, including ombre kits and gel effect top coat! The biggest thing that caught my eye though was a new stand of Candie's make-up. I picked up a couple of the polishes to try out. For this manicure I used Mighty Mint, a mint-green creme, and added a glitter fade using Over The Rainbow, a glitter topper full of multi coloured, multi sized glitter. The quality of the creme was pretty good, especially for a pastel shade. It's not quite to the standards of Barry M but I had no problems at all. I used 3 coats. Over The Rainbow is also of a good quality, easy to apply and packed full of glitter! The bottles are eye catching to say the least! I found these in the Liverpool Primark, £2.99 each for 10ml. That mint is lovely and you wouldn't think it was a primark polish from the look of the bottles! I have noticed that with Primark! I see that they have there own nail polish remover, nail diamonds and I heard nail art brushes now too! 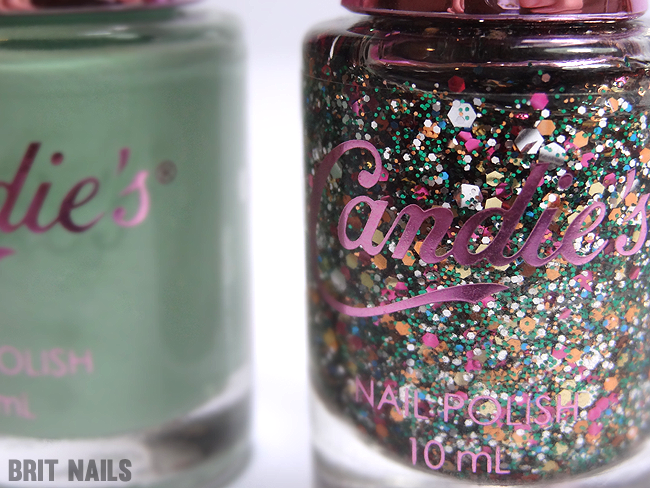 I haven't seen Candies collection there yet though, the bottle are so cute! I will definitely have to check out Primark asap, I've not seen these yet. How exciting! What a find, I'll have to check them out, thank you for posting! Those bottles would never have bought me at all, but thanks for posting. Lovely nails as always! Not the classiest of things are they!? I've seen these too, will have to pick up Over the rainbow! Is this the same Candies that make shoes? Oh wow! I wish they had this in my primark! We just seem to have all the horrid things that no other store wants, I see youtubers saying about their primark hauls, check my primark for their cute items and they're no where to be seen! I've never seen any decent nail polish in there either - believe me i've looked!